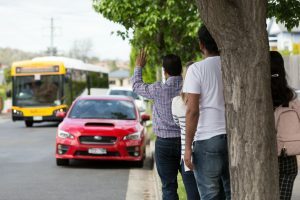 Know which bus to catch to school? We recommend you familiarise yourself with the route and time of the service you’ll take to school or campus in 2019. Getting from A to B starts with planning your journey. There are many ways to find out which bus you need, but we think the easiest way is to use the Trip Planner. Simply select your city, type where you want to leave from (or select ‘current location’ on mobile), type your destination, and select ‘plan my trip’ to see a list of travel options. Click on an option to expand it and see a map and details of the bus stop, route number and times. 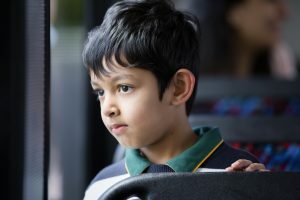 A full list of all Metro operated school services can be found here, and general access timetables can be found here. Please note: Metro school services resume from Wednesday 6 February 2019. If your school returns earlier, check with your school directly for transport information until 6 February. 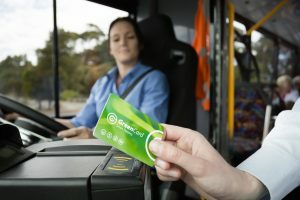 Up to date with the changes to services in southern Tasmania? 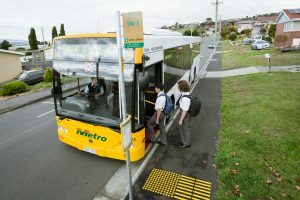 Following a review by the Department of State Growth, some bus routes and timetables (including some school services) in southern Tasmania changed on 20 January 2019, including Metro services in South Arm, Seven Mile Beach and the Channel. In order to integrate with the changes, some other routes have had minor timetable changes. To learn more about these changes, click here. A Greencard helps you save money and board quickly. Make sure it’s ready to go by adding credit online before school returns. Why not get extra organised by setting up an automatic top up? For information about Greencard including how to manage your account online, click here. Full-time students attending a recognised primary or secondary school, senior secondary college, TasTafe, university or Tasmanian College of English are eligible for Student Concession fares until the end of the year in which they turn 18. Using Greencard, a student single trip in the urban area is $1.44, with a free transfer within 90 minutes, and travel is capped at a maximum of $3.60 per day. Urban single cash fares are $1.80. Student travel in the non-urban area is $1.44 per trip using Greencard or $1.80 per trip using cash. You’ll need to show student identification to receive Student Concession fares. Students over 18 may be eligible for an Adult Concession Greencard, offering similar great savings. For information about adult student concessions, click here. If you or your carer holds a concession card, you can apply to the Department of State Growth for free student travel. Once your application is approved, you will be issued with a Free Student Greencard at no cost. Free travel applies on weekdays from 7am to 7pm. Outside the hours of free travel, you can use the card as a regular Greencard by adding travel credit to it. For more information or to apply for this concession, visit the Department of State Growth website here. If you’re new to catching the bus, check out more handy tips by clicking here.